Sometimes road improvement products can lead to instances where the designated area gets better, but a road in the vicinity suffers. This is the case with the Interstate 515 restriping project in Henderson that was completed late last year. Sometimes road improvement projects can lead to instances where the designated area gets better, but a road in the vicinity suffers. This is the case with the Interstate 515 restriping project in Henderson that was completed late last year. The three-month-long restriping project headed by the Nevada Department of Transportation was aimed at improving safety and reducing traffic congestion at the I-515/215 Beltway interchange. But the new configuration caused headaches for the first few days, as confused motorists learned to navigate the new layout. Fast forward a few months and there is still a lingering issue created when the restriping project was done. Several readers have reached out airing their displeasure with the Lake Mead Parkway on-ramp to the 215 Beltway westbound. The new configuration abruptly goes from two lanes to one lane, causing dangerous conditions, according to readers like Henderson resident Suellen Pirages. Before the change, the ramp was a two-lane approach with easy ability to change lanes, Pirages continued. Well, for Pirages and the several others who have aired their concerns, help is on the way. The restriping project is still open, and NDOT plans to change the Lake Mead Parkway on-ramp striping back to two lanes, according to Tony Illia, department spokesman. The precise timing of the improvement was not available, but Illia said it should occur within the next two months. Further improvements to the interchange, which is the gateway to the rest of the city for many residents in the ever-growing Henderson area, are also in the plans. The “Henderson Spaghetti Bowl,” as it is unofficially known, is slated for upgrades, part of a multi-stage project to occur over the better part of a decade. First constructed in the mid-1990s when Clark County had a population of 1 million, the interchange needs to be improved to handle the growing traffic needs of the area’s now 2.2 million people. The first phase of construction is planned to occur between 2021 and 2025, with the second phase taking place between 2025 and 2030, plans show. The public will have an opportunity to voice their concerns and opinions on the proposed project this week at an informational meeting. The meeting will take place from 4 p.m. until 7 p.m. Wednesday at the grand ballroom in the Henderson Convention Center located at 200 S. Water Street. A presentation will take place at 5:30 p.m., followed by a question-and-answer period. Officials will be on hand to discuss the project with attendees. A 20-day closure of Farm Road begins Monday morning in northwest Las Vegas. 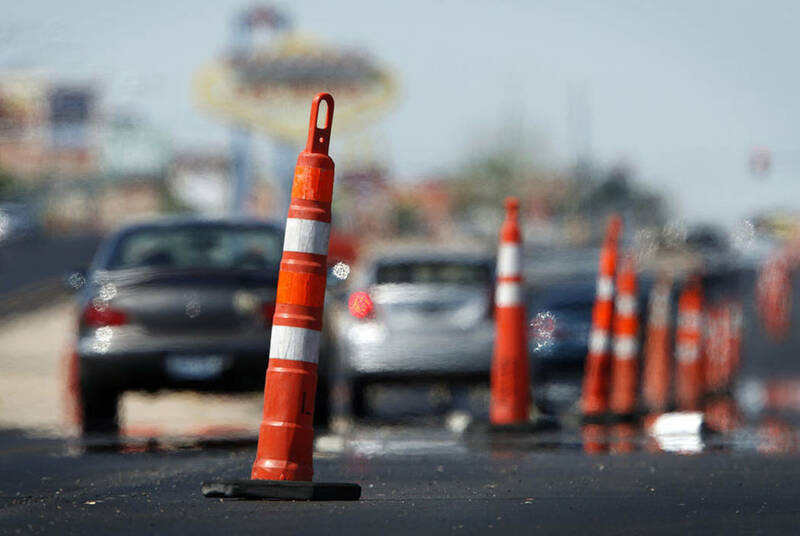 Farm Road between Oso Blanca Road and Vivid Vail Street will shut to vehicles from 7 a.m. Monday until 6 p.m. April 14, the Nevada Department of Transportation announced last week. The closure is needed for underground flood control enhancements as part of the $78 million, six-mile-long widening and upgrade of U.S. Highway 95 between Ann and Kyle Canyon roads, which broke ground in January 2018. Plans call for expanding the highway from four to six travel lanes from Durango Drive to Kyle Canyon Road, constructing Elkhorn Road carpool access ramps and building a diverging diamond interchange at Kyle Canyon Road. Other enhancements include placing decorative rock, erecting signage and lighting and installing storm drainage. Construction is scheduled to finish this summer.